L.A. City Council members have said that once the medical marijuana dispensary ban goes into full effect next month, they’ll begin shutting down shops in waves, starting with those that are the biggest violators of state and city laws, as well as those that have received the most complaints. However, our Los Angeles marijuana lawyers know that realistically, the dispensaries that are going to be affected immediately are those that don’t want to face down a $1,000-a-day fine or face misdemeanor criminal charges. Those operations that want to flout the law are going to do it regardless of what city hall says. For them, the only thing it does is push them further underground, where we are all more likely to be affected by the crimes that often accompany illegal trade. There are approximately 760 marijuana dispensaries that are formally registered in the city, though the city attorney’s office estimates there are somewhere between 100 to 200 more that are operating without any permitting at all. City officials have said it will work like this: They will be sending letters to clinic operators, warning them to close voluntarily when the ban takes effect next month. City administrators hope most will close shop on their own, making it easy for them to move to the next phase, which will be to target those shops that reportedly have posed the greatest nuisances to nearby neighborhoods. A spokeswoman for the city attorney’s office said that city action will be driven by complaints. Further, aside from sending letters, city officials have said they don’t have the resources to follow up unless someone calls them about it. That means they will have no real way of knowing which shops have closed on their own voluntarily and which have remained open unless they get a complaint. City officials are hoping that the threat of a criminal record will be enough of a deterrent for most of the clinic owners. If you own or are operating a marijuana dispensary, you do have some legal options available to you, but those need to be thoroughly discussed with an experienced marijuana lawyer. One possible light at the end of this tunnel is an effort being undertaken by Americans for Safe Access. The pro-pot advocates are working diligently to gather the 27,000 signatures required to place a referendum to overturn the ban on the spring ballot. If they are successful in getting those signatures and having them certified, city charter requires that the ordinance at the heart of the issue – i.e., the ban – CAN’T TAKE EFFECT until voters have their say. So if the advocates can collect those signatures in the next month or so, it’s possible that L.A. pot shops may not have to close at all. 1. They have the option to grow their own pot. The city’s ban still allows patients to form their own collectives of up to two other people in order to grow it at home and share. 2. 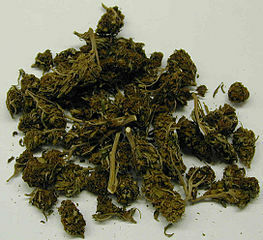 They could obtain it from their doctor, who still has the ability to deliver, distribute and give away marijuana. It will also be permitted in licensed clinics and hospices. 3. They could go to another city. Clinics remain open in West Hollywood, Long Beach, Ventura and Marina del Rey. Obviously, these options are not ideal for most people, and don’t take into account that many are very sick to begin with and don’t have the time, ability or resources to effectively grow the plant or the ability to make it to a neighboring town.